A diamond cutting blade for abrasive materials. 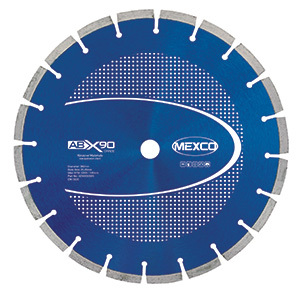 Great value diamond blade offering superb cutting performance; specifically designed and manufactured for the purpose of cutting abrasive materials. The harder segment bond offers the user an extended cutting life over the General Purpose Diamond Blade. Refer to applications for a list of materials suitable for this diamond blade.